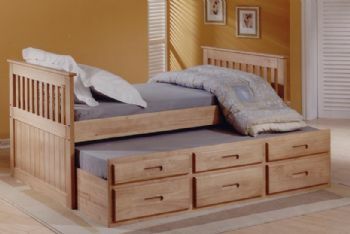 The Captains bed is a marvellous space-saving solution that kids will find fun during the day and at bedtime. This solid pine cabin bed includes an underbed (perfect for sleep overs!) with 3 drawers, so there is no excuse for mess! A fabulous compact and functional bed.